The list of professional wrestlers who have attempted acting careers is long, but the list of those who actually succeeded on the silver screen is very small. Of course, none have yet equaled the resume of Dwayne “The Rock” Johnson and only a few are even as popular on screen as “Rowdy” Roddy Piper, but that’s still better than the average wrestler-turned-actor. 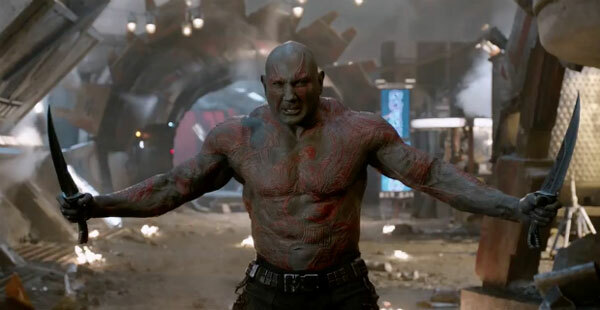 One wrestler who has the opportunity of joining Johnson is Dave Bautista, who landed the role of a lifetime as Drax the Destroyer in Guardians of the Galaxy after quitting wrestling in 2010 and landed roles in movies like The Man with the Iron Fists, Riddick, and The Scorpion King 3: Battle for Redemption. Bautista (who has recently made a return to wrestling) spoke to The New York Post about what he felt when he landed the Marvel role.